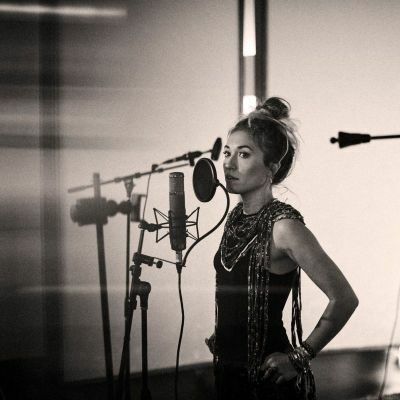 Grammy-nominated singer Lauren Daigle had a successful 2018 with her sophomore album Look Up Child, which debuted at No. 3 on the Billboard 200 chart, beating out popular secular musicians such as Drake, Ariana Grande, Nicki Minaj and Cardi B that week. Everyone was singing her praises until the 27 year old was asked on iHeart radio whether she thought homosexuality was a sin. She responded that she “didn’t know” and that people should read the Bible to find the answers for themselves and then Christian vloggers and fans alike told to the internet to slam her comment in disappointment. In an interview with 104.3 MYFM shortly after the backlash, the popular singer was asked what she “called herself,” specifically if she still considers herself to be a Christian artist as her music goes mainstream. "I feel like those labels get put on you by other people,” Daigle said during the interview in December. “I was reading articles, I read them here in there, and one of them said Christian artist and the other ones said just artist. But I think part of me is just an artist because it encompasses everything. That's kind of how I see myself." In an interview with The Christian Post, Daigle said her main objective is to go outside of the four walls of the church and share the Gospel message with the world. There are many other Christian acts such as POD, NF, Jars of Clay, Need to Breathe, TobyMac, Skillet, Kirk Franklin, and Flyleaf that have been embraced by both mainstream and Christian audiences, some having little to no problem with being widely accepted as secular performers despite their Christian undertones. Undeterred by the risk that comes with stepping into unknown territory, all these artists might agree that behind their desire to reach secular audiences is also a desire to fulfill the Great Commission. “Go out into all the world and preach the gospel to all creation,” Mark 16:15.